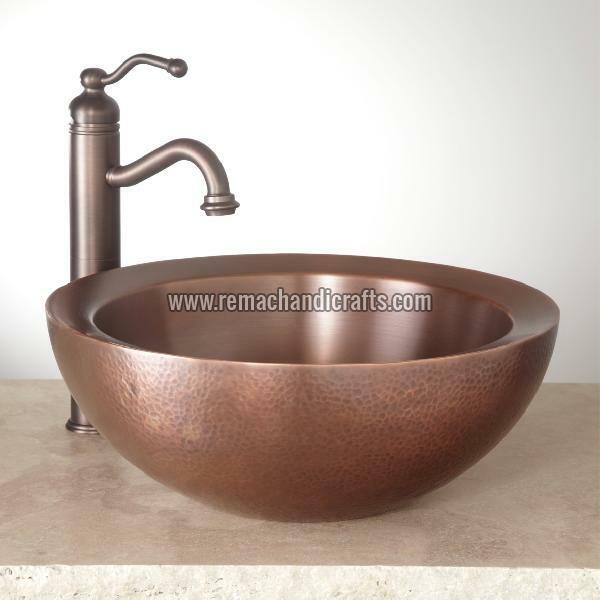 Over the years, we have become a high-flying name since our 1002 Casalina Hammered Copper Vessel Sink is qualitative and deliveries are time-bound. We offer an invoice stating the payment terms as well as other details required for the final payment. In addition, our transaction modes are simple, safe and reliable. Size - Overall dimensions - 16" diameter x 6" H (± 1/2"). Interior - 13-1/2" diameter (± 1/2"). Basin is 6-1/2" deep. 1-1/2" drain size.